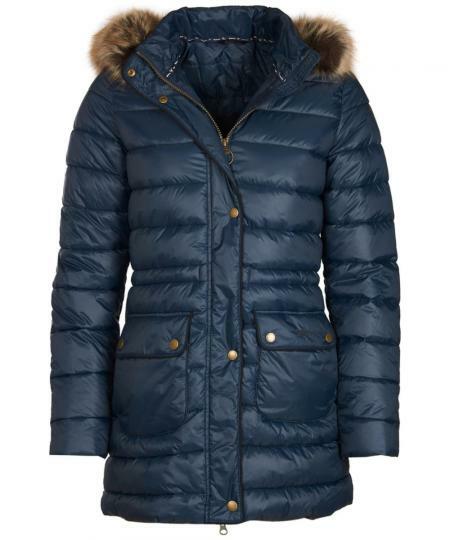 The Barbour Redpoll ladies quilted coat in navy a fantastic baffle quilted, long line jacket with side pockets and a luxurious faux fur trimmed, detachable hood. Available in sizes 8 to 18. The drawstring at the waist means you can pull it comfortably into a fitted shape. It is warm, lightweight and glamorous with a lovely soft feel.SALE!